The MTU017 UTG Pro SKS scope mount receiver cover with shell deflector is the best ways to add a scope to your SKS rifle. This see through sks rifle scope mount with shell deflector for sale features 22 slot Picatinny rail for optics and accessories. 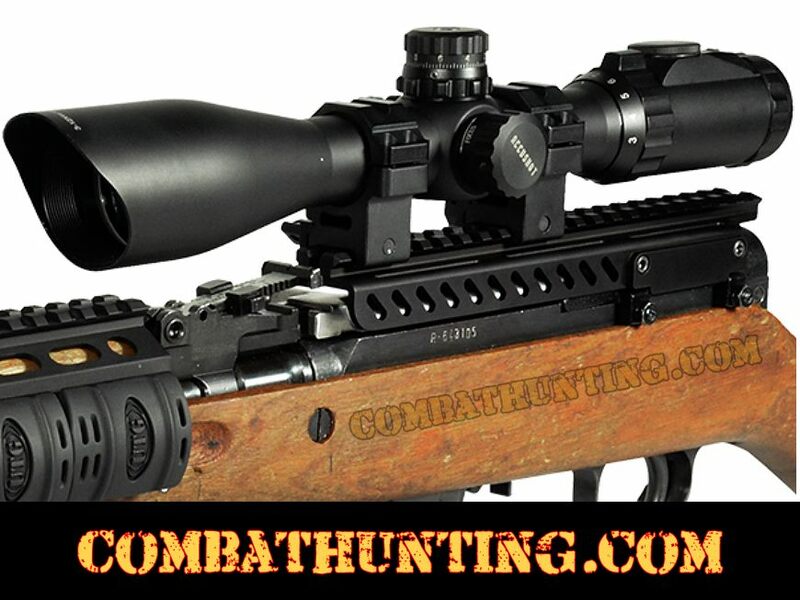 This receiver cover scope mount this will completely transform your Military SKS rifle into a real modern sporting sniper rifle. The fully integrated Picatinny rail platform will enable the installation of any compact scope, midsize scope, or full size optics onto your SKS rifle. The rail is integrated with a receiver cover that also functions as a shell deflector to protect your sks optics. Installing this receiver cover onto your SKS rifle enables you to use your SKS rifle in CQB, mid range, as well as long distance sniper shooting. The receiver cover Picatinny rail has a Low Profile See-thru Design for Use of Iron Sights. This Is Full Length Top Scope Mount Rail with 22 Picatinny Slots for Flexible Optics Applications. Made In USA. Limited Lifetime Warranty. Full Length Top Rail With 22 Picatinny Slots For Flexible Optics Applications. 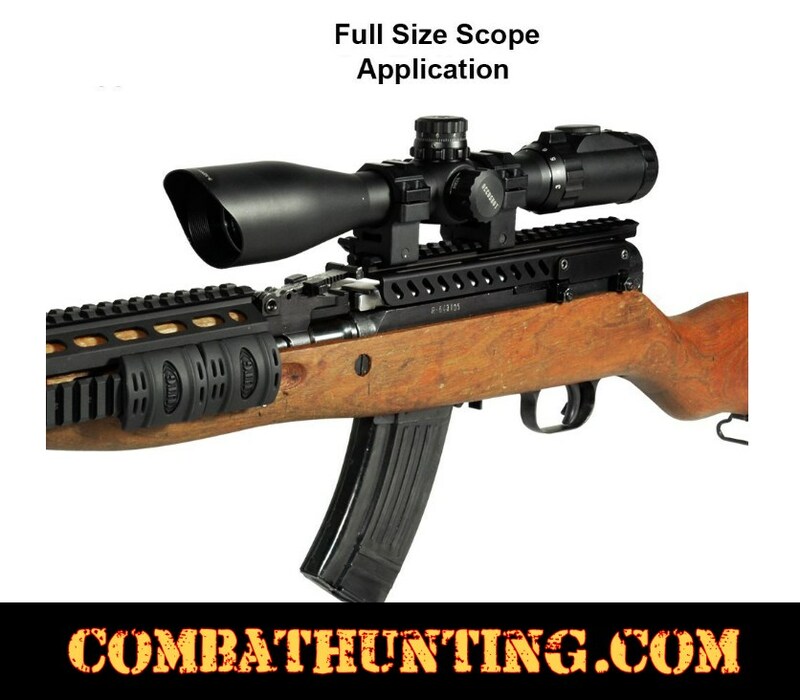 Fits Most Mil-Spec SKS Rifle Including Norinco. Fits Most Sks Rifles, Yugo SKS rifles, Chinese Norinco SKS rifles etc. Note: Some Minor filing or modification may be required.